Two men have been remanded in custody after being charged in connection with two burglaries committed near Caistor. John Daffin, 26, of no fixed address, was remanded by Lincoln Magistrates’ Court in connection with two burglaries carried out in Cabourne, near Caistor. The two burglaries were carried out at two separate properties on February 9 and 10, 2019. He is due to appear at Lincoln Crown Court on Monday, March 11. 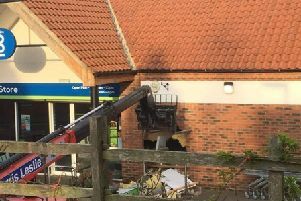 Kelsey Parker, 29, of Union Street, Market Rasen was also charged in connection with the same burglaries. He has also been remanded until his next court appearance on Monday, March 11 at Lincoln Crown Court.